In addition to aesthetic and historic value, renovated theaters can be a source of revenue. SavingPlaces.org readers love historic theaters with a capital LOVE, reading and liking and commenting in overdrive whenever we share a restoration or reuse story. And really, what’s not to love? Theaters evoke wonderful memories of experiencing art, enjoying architecture, and spending time with loved ones. 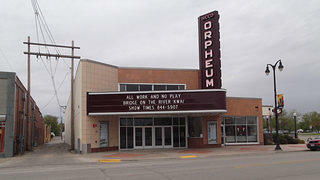 Plus, historic theaters are proven community revitalizers and economic drivers. Not only do they generate an impact of at least $2-$3 per dollar spent on tickets, but they also catalyze other business development, create jobs, and improve the local quality of life. But restoring a historic theater is no small undertaking. In fact, the average historic theater project costs between $5 and $30 million, opens in 5 to 10 years from inception, and requires dozens of consultants. In this toolkit, we share the essential steps in bringing a historic theater back to life so it can be the site of many more happy memories to come. 1. Set concrete goals. The first question to answer is, “Should we or shouldn’t we undertake this project?” Assemble all relevant community, program, historical, and site documentation. Study theater business and design principles. Evaluate the demand for the theater, as well as its proposed business models. And take advantage of information from the League of Historic American Theatres (LHAT) and other local professional resources for guidance. 2. Consult the community. Interview key stakeholders to figure out the community’s perceived needs, proposed mission and programs, market conditions, and the facility’s suitability (what shape is it in, what size, type, etc.) Once you know how viable the project is, you can justify further planning. 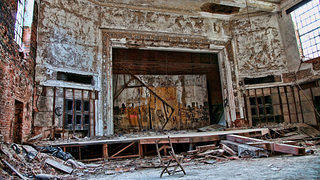 Before embarking on a theater renovation project, be sure to calculate the costs. 3. Stabilize and secure the site. Consult with a preservation theater architect and your state historic preservation office (SHPO) to help you determine the site’s historic significance, integrity, and interim stabilization. Do your best to negotiate access, site security, stabilization, and first right of refusal to purchase. 4. Plan out your finances. “How much will it cost?” It’s the first question asked, and the last one answered accurately. Ballpark the potential scale and scope of the project (and don’t publicize it). Extrapolate a planning budget from there; it will likely be 3-10% of your project cost. And start identifying possible sources of funding for your project planning. 5. Develop a project management plan. Robust plans encompass the project’s goals, respond to community needs, and map out implementation. It’s important to methodically study, re-plan, and document the project management process. You can initiate this with a feasibility study. Tip: Project management plans should include: mission statements and program goals; project goals and design criteria; deadlines, budgets, and policies; marketing and development strategies; operating structure; project team and job descriptions; action plans; financial plan and cash flow projections; and construction milestones. 6. Implement your plan. Confirm your financing is in place to guarantee fees, salaries, and initial project costs. Recruit a board chairperson, capital campaign chair, experienced executive director, technical director, project manager, design team, and construction manager. 8. Look for comprehensive services. Seek out firms that provide the following preservation architectural services: site research, investigation, and analysis; design development; construction documents; bidding, negotiations, and construction contracts; and construction and contract administration. 9. Start up your business. Though construction might still be in full swing, you’ll need to activate your business model. In advance of opening, book your programs (12-18 months in advance), solicit sponsors, and raise funds. Recruit and train your facility staff. Plan your opening week events. Figure out your furniture, equipment, signage, and other inventory. And don’t forget any licenses you need, as well as concession and hospitality contracts. 10. Market your project effectively. Before the curtain rises, establish a distinctive position for your theater. What are the values that will reflect future programming and guide the branding of the theater? Is it to be a formal or informal environment? What kind of service and hospitality will it offer to set it apart from other theaters and attractions? Also, develop audience engagement strategies to build your membership, donor base, and audience loyalty. A historic theater project done right can enliven the neighborhood, reinvigorate the community, and keep a beautiful place around for future generations. Adapted from the League of Historic American Theatres Rescue-Rehab Manual. Information courtesy of Janis A. Barlow & Associates.